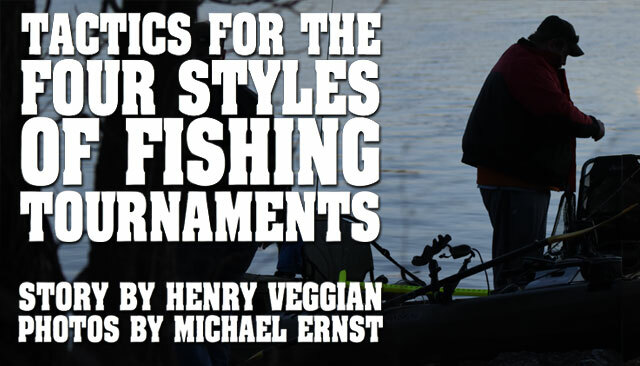 Kayak Bass Fishing and Competitive Kayak Bass Fishing have a lot in common. Making a distinction between the two will increase your enjoyment and chances meeting your objective in either. In this article. 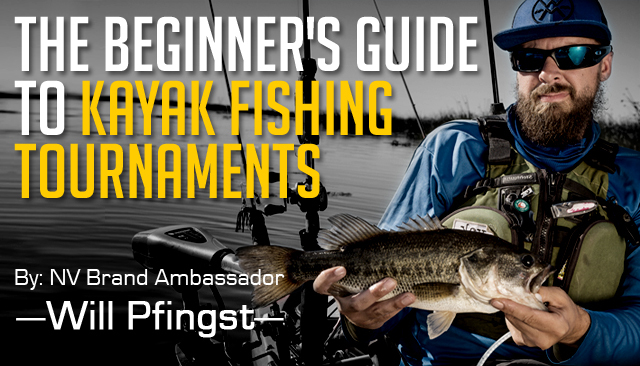 In “The Beginner’s Guide to Kayak Fishing Tournaments,” KBF Member Will Pfingst lays a foundation for success in competition. Print off a couple spare identifiers. Better too many than one too few. Take multiple photos of each fish with your camera, an ID visible in each one, then upload to TourneyX from your camera roll. That leaves you with backups and alternate images in case the first one you submitted gets dinged. Identify the closest place with wi-fi or a good data signal and bear in mind how many minutes you are from it. Put the TD’s cell phone number in your contacts. His name and phone number are on the TourneyX Event page. Text, call, PM, or email him to alert him to technological problems that may be systemic. Also, you can transmit photos to him for manual uploads if necessary. Test your TourneyX dashboard login and photo submission functions minutes after the competition start time. Take a photo of your ID and Hawg Trough to make sure your camera is working and that you can upload. Might be a good time to test the “cull” feature, too. Carry backups. Cell phones rarely float. A second digital camera in a waterproof bag adds little weight and takes up little space in your gear crate. Speaking of floating, add flotation to your KBF-approved measuring board. Have a USB cord or spare removable media and batteries for a digital camera. Under the “it goes without saying,” make sure to top off your cell phone charge as you drive to the lake, and turn off all unused apps that slurp up power and shorten a battery charge. A pre-flight checklist is not a bad idea. D.J. 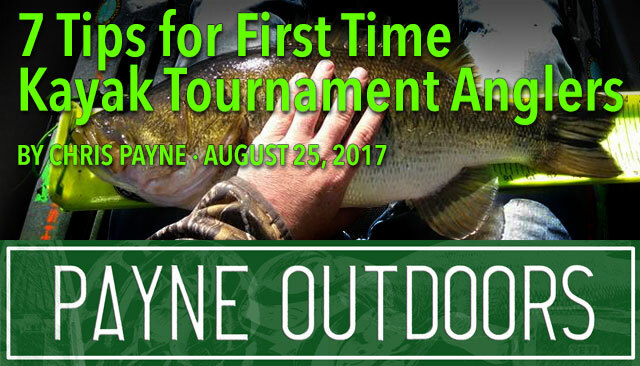 is an experienced tournament angler in my club. He realized he’d left all his fishing rods at home as he was putting his boat in the water. Rods…check. Paid KBF Membership dues no later than 11:59 p.m. CST the evening before competition. Note: AmBASSador, Competitor, or Lifetime Members may all compete in KBF Challenges. Competitor or Lifetime Membership is required to compete in KBF TRAIL Series Tournaments. KBF-approved Measuring Board on your kayak, possibly secured with lanyard. Good idea to have a backup stowed under the deck since they don’t float. USCG-approved chest-style PFD (life jacket) in good and serviceable condition, properly sized, fastened and adjusted; worn at all times for KBF competition when in the watercraft, wading, or fishing from shore. Paddle (even if you pedal). Whistle or other audible signaling device (required by USCG) that can penetrate the whine and roar of a bass boat’s 2-stroke motor to alert boater of your presence or to signal for help. Note: A 360° elevated light, preferably one equipped with a bright-colored flag for daytime hours, can alert boaters to your presence. Recommended, though not required, by KBF or USCG, for use between dusk and dawn. A steady, white, slow-moving light a meter above the water’s surface 50 yards away can be mistaken for a shore light across the lake, so keep a bright flashlight close at hand to signal approaching vessels. KBF Event Rules Addendum, on the KBF Website’s Calendar Event Page. Registered for event on TourneyX (no later than deadline shown in Rules Addendum. TourneyX app dashboard shows the Event ID Code at Start of Competition time. Recommended: dry towel, space blanket, warm clothes, fire-starters, and personal first aid kit in dry bag stowed under hull.